We’d love your help. 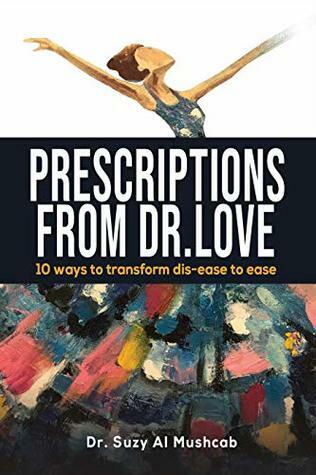 Let us know what’s wrong with this preview of Prescriptions from Dr. Love by Dr. Suzy Al Mushcab. “She asked me to think about why conventional medicine alone hadn’t found the answers to what truly plagued me and why the bags full of medicine hadn’t improved the condition in which my body was in. She smiled her knowing smile, eyebrows raised, the gentle but straightforward questions hanging in the balance as she waited for my response.”Ridden with medical complications “She asked me to think about why conventional medicine alone hadn’t found the answers to what truly plagued me and why the bags full of medicine hadn’t improved the condition in which my body was in. She smiled her knowing smile, eyebrows raised, the gentle but straightforward questions hanging in the balance as she waited for my response.”Ridden with medical complications that plagued her for almost all her life, Dr. Suzan Al Mushcab finally lay at death door, when what was supposed to be simple surgical procedure went horribly wrong. Though this is not a book about that event in her life, it is the backdrop to a miraculous recovery in health, mind and spirit for a doctor, by a doctor. The miracle wasn’t in conventional medicine, nor was it in alternative medicine completely. It was in conversations that Suzan had with her alter ego, Dr. Love. To ask other readers questions about Prescriptions from Dr. Love, please sign up.